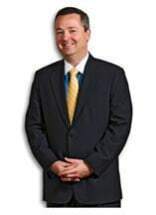 I am Tim Lengkeek, a partner in the law firm of Young, Conway, Stargatt & Taylor, LLP, in Middletown, Delaware. I represent people who have been injured as a result of car and truck accidents, medical malpractice, workplace accidents and defective products. I also provide wrongful death representation to the families of those who have lost their lives in such accidents. I am passionate about helping victims of personal injury and wrongful death find answers, get compensation, and hold accountable parties responsible. Far too often, in the aftermath of medical mistakes and truck accidents, insurance companies ask victims to settle before they even know the extent of their injuries and related expenses. If you settle without the guidance of a skilled lawyer, you might waive important rights. I help my clients understand their legal rights and options, and I help them obtain the maximum compensation available for their current and future medical expenses, rehabilitative costs, lost earnings and more. My record of accomplishments include more than a dozen cases with verdicts or settlements of $1 million or higher. However, I also take smaller cases. If you have suffered due to a doctor's mistake, medication error or another form of medical negligence, Delaware law requires me to file your claim within two years of your injury date. Call me, today for a free initial consultation to get started. I represent personal injury and wrongful death clients throughout Delaware.